Plan a leisure trip around Huntington Park or anywhere in Southern California without compromising on style. 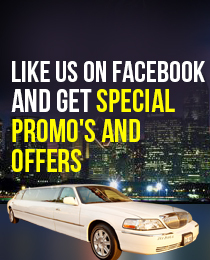 ULC’s limousine service in Huntington Park promises you a majestic experience on the road. ULC’s limousine rental service in Huntington Park is unique and brings out a special grandeur exclusively for you on your special occasion. The limo service in Huntington Park by ULC provides smooth, sophisticated and stylish limos. The professionally trained, certified and professional chauffeurs of ULC’s Huntington Park limo rentals, clad in black suits, take extreme caution to make the travel for our customers perfectly comfortable and memorable. There are several reasons why ULC’s limo rental service in Huntington Park always stays on the top of the list of similar services in town. ULC boasts of a fleet of well maintained limos in Huntington Park, which include all the latest models of sedans, limos and party buses such as Mercedes E-Class, Mercedes S-Class long, Lincoln and Cadillac stretch limos, SUV and Hummer limos, and party buses. Hire our limo in Huntington Park for any type of occasion, including birthday parties, wedding, anniversaries, concerts, business chauffeuring, bachelor and bachelorette parties, corporate travel, school events, proms, sightseeing tours, or any other special occasion. Our limo rental service in Huntington Park is managed and controlled with the help of latest location and tracking device technology and central office support and management to our drivers. Which Huntington park Limo is Right For You?